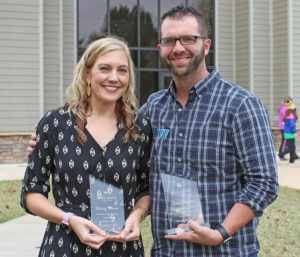 Williams Baptist University has honored several of its own for their service to the university. Williams recently recognized a dozen employees who have reached milestones of service at WBU. “The combined years of service for these WBU employees comes to nearly 250 years. That is a remarkable testament to the loyalty of our people, who invest their lives into Williams Baptist University and its students,” said Dr. Stan Norman, president of WBU. Pictured above are (seated, left to right): Lynette Rose, Tonya Bolton, Misty Colvey, Melinda Williams and Kathy Evans. Standing: Aaron Andrews, Eliseu dos Santos, Vickie Travis, Katherine Tippy, Lisa Foley, Dr. Brett Cooper and Dr. Chris Thompson. Lynette Rose of WBU’s Office of Business Affairs was recognized for 40 years of service to the university, while Melinda Williams, assistant professor of speech, drama & journalism, was honored for 35 years at WBU. Honored for 30 years of service were Kathy Evans and Lisa Foley. Evans is education coordinator for the Williams Teacher Education Program, and Foley is the transfer counselor in the Office of Admissions. Dr. Brett Cooper, vice president for institutional advancement, was recognized for 25 years of service. Tonya Bolton and Dr. Chris Thompson were honored for 20 years at WBU. Bolton serves as the registrar, and Thompson is associate professor of music. Recognized for 15 years of service was Aaron Andrews. Andrews is director of annual giving and alumni relations. Misty Colvey and Eliseu dos Santos were honored for 10 years of service. Colvey is the head athletic trainer, while dos Santos serves as the facilities maintenance supervisor. And Katherine Tippy and Vickie Travis were recognized for five years at the university. Tippy is administrative assistant in the Office of Financial Aid, while Travis serves as a housekeeper. 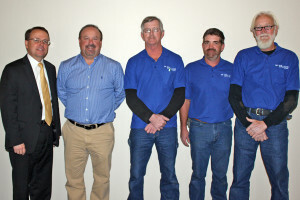 The employees were honored at WBU’s employee Christmas party on Dec. 13. 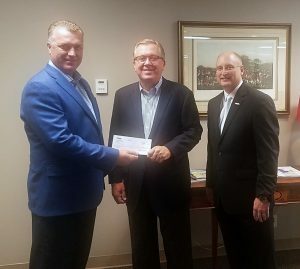 Mike Richardson, Arkansas Regional President, (left) and Scott Teague, Regional Commercial Banking Manager, (right), both of US Bank, present a $5,000 check to AICU President Rex Horne (center). U.S. Bank Foundation has granted $5,000 to AICU to fund scholarships for students attending colleges and universities which are members of AICU. The grant was presented to AICU President Rex Horne on Oct. 15, 2018 by Mike Richardson, Arkansas Regional President of US Bank and Scott Teague, Regional Commercial Banking Manager of US Bank. This gift will help those students who are first generation and are from low to moderate income families to enroll and/or remain in school. Completing college is vitally important to the economic growth of Arkansas. AICU and its member institutions are most appreciative of this generous gift from US Bank Foundation. John Brown University welcomes Archaeology scholar Dr. Daniel Master to speak on “Ashkelon and the Philistines” Thursday, Oct. 19 at 7 p.m. in the Cathedral of the Ozarks. Master’s lecture is part of JBU’s biannual “Abila Lecture in Biblical Archaeology” series that focuses on understanding the history of the Biblical world through archaeology. During his career, Master has served as a National Endowment for the Humanities Fellow at the Albright Institute for Archaeological Research in Jerusalem and the general editor for the Oxford Encyclopedia of Archaeology and the Bible. He completed his Ph.D. at Harvard University in near Eastern languages and civilizations and has taught at Wheaton College since 2000 on subjects including ancient near Eastern archaeology, historical geography, and archaeology and the Bible. For the last 25 years, Master has researched the ancient Philistine port city of Ashkelon discovering the only-known Philistine cemetery. Currently, Master is excavating the largest city in the Jezreel Valley, a project he began last year at Tel Shimron in Northern Israel. The lecture series, now in its fourth year, is funded by donors to JBU’s Abila Archaeological Project, which excavates in Northern Jordan at Abila of the Decapolis under the direction of Vila. All lectures are free and open to the public. The Abila Lecture Series is also a part of the university’s Endowment for Academic Excellence, a priority of JBU’s $125 million Campaign for the Next Century. JBU has currently raised more than $115 million toward the $125 million goal and plans to complete the campaign on JBU’s centennial in 2019. John Brown University is a leading private Christian university, training students to honor God and serve others since 1919. Arkansas’ top ranked regional university (U.S. News Best Colleges, 2017), JBU enrolls more than 2,700 students from 40 states and 37 countries in its traditional undergraduate, graduate, degree completion and concurrent education programs. JBU offers more than 39 majors, with top programs including business administration, graphic design, engineering, construction management, counseling, teacher education and nursing. Williams Baptist College hosted its 75th Anniversary Homecoming celebration on Saturday, Nov. 5. Three alumni were honored with awards, and an area on the campus known as “Midkiff Meadows” was also dedicated as a part of the day’s festivities. James Costner was presented this year’s Distinguished Alumnus Award. Costner, a 1963 WBC alum, was senior vice president of the Property Practice with the insurance company Willis North America. He has been quoted as a property insurance expert by The Wall Street Journal and other prominent business publications. He and his wife, Mary, live in Nashville, Tenn.
Bobo and Amber Newton of Tulsa, Okla., were honored as this year’s Outstanding Young Alumni. Bobo, a 2005 graduate, is chief operating officer and vice president at Kubota Construction Equipment of Tulsa. Amber, an ‘03 alum, does marriage and family counseling at New Beginnings Church, as well as volunteering at Crisis Pregnancy Outreach in Tulsa. Also taking place during the commemorative Homecoming event was the dedication of Midkiff Meadows, in memory of Dr. J.T. Midkiff. Midkiff served at williams from 1956 to 1974 as professor of social science, dean of mean and director of the Baptist Student Union. He is credited with planting many of the trees on the Williams campus and other beautification projects that the college still enjoys today. Saturday’s festivities marked the culmination of WBC’s 75th anniversary celebration, which has taken place throughout 2016. 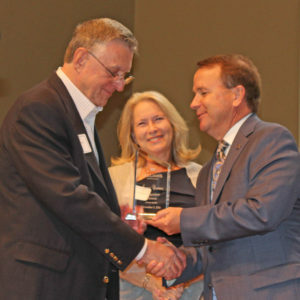 James Costner accepts the Distinguished Alumnus Award from WBC president Dr. Tom Jones while Costner’s wife, Mary, looks on. Two of Dr. J.T. 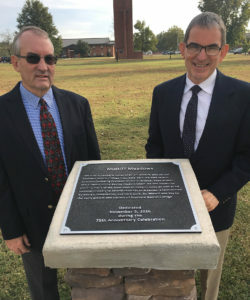 Midkiff’s sons Paul (left) and Phillip (right) stand with the new Midkiff Meadows dedication monument. 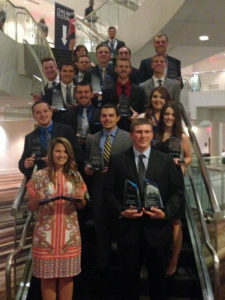 Williams Baptist College’s chapter of Phi Beta Lambda has, once again, walked away from the national competition with several new awards in tow. While at the National Leadership Conference, which was held in Atlanta on June 24-27, 18 WBC business students competed in 16 different events, and placed in nine, including a first place finish. PBL is the collegiate extension of Future Business Leaders of America. In order to compete at the NLC, students must have top finishes at state competitions, which are held in the spring. Thompson was a member of the team bringing home WBC’s top win. She worked with Jacob Hames of Memphis, Tenn., and Oni Robertson of Baton Rouge, La., to earn first place in Integrated Marketing Campaign. Hames, Robertson and Megan Weick of Pocahontas earned second place in Business Ethics. Taylor Galloway of Fisk, Mo., Tyler Dibert of Imler, Penn., and Garrett Williams of Little Rock won second place for Business Presentation. Dibert, Patrick Grigsby of Bella Vista, Ark., and Dalton Nilges of Bourbon, Mo., brought home the fourth place award in Community Service Project. A fifth place win was earned by Collin Whitney of Searcy, Ark., Ethan Risley of Farmington, Ark., and Luke Carter of Bourbon, Mo. Williams and Keith McAnally of Smithville, Ark., received the sixth place award for Business Law. Galloway and Weick won sixth place for Financial Analysis and Decision Making. Alec Scott of Rector, Ark., brought home the seventh place finish for Sports Management and Marketing. Scott and Nilges also earned ninth place for Hospitality Management. “Williams business students’ hard work was rewarded in their outstanding performance at the National Leadership Conference. 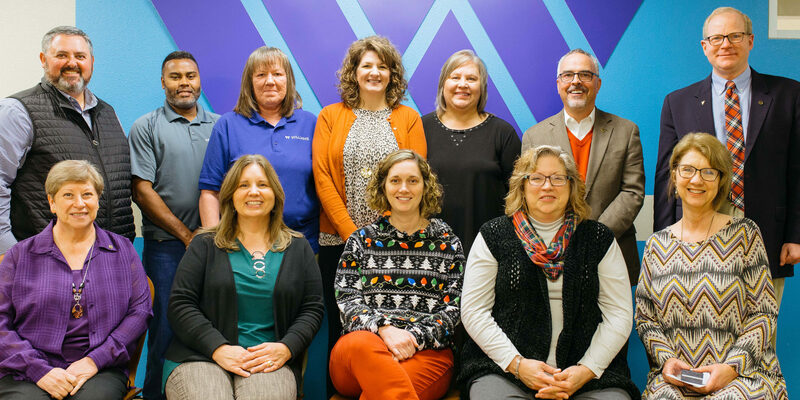 We are so proud of them and all of their hard work,” concluded Janna Himschoot of the Williams business faculty, who is co-sponsor of WBC’s PBL group. Williams is a four-year, liberal arts college located in Walnut Ridge. Williams PBL students with their awards at the National Leadership Conference in Atlanta. 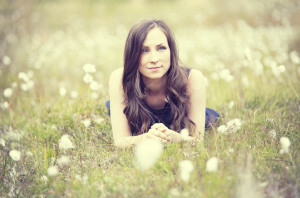 Julie Fowlis to continue Harding University 2015-16 concert series. Julie Fowlis will play at Harding University on Oct. 29 at 7 p.m. as a part of the University’s 2015-16 concert series. The concert will be held in the Administration Auditorium, and the cost is $3. Fowlis and her band began their tour in the United States on Oct. 8 in Johnsbury, Vermont. The band will play shows at 15 different venues across America and end their tour at Harding. Fowlis is a Scottish, Gaelic singer and multi-instrumentalist. Her fourth and newest album, “Every Story,” was released on Feb. 24, 2014. After receiving her Bachelor of Arts degree in music at the University of Stratchlyde in Glasgow, United Kingdom, Fowlis attended a Gaelic language college to improve her language skills and to study traditional Scottish music. Fowlis won the Horizon award at the 2006 BBC Radio 2 Folk Awards, was nominated for the Folk Singer of the Year award in 2007, and won Folk Singer of the Year in 2008. Dr. Rex Horne, who has served as president of Ouachita Baptist University at Arkadelphia since 2006, has been named as the new president of Arkansas’ Independent Colleges & Universities. The announcement was made Tuesday by Dr. Don Weatherman, the president of Lyon College at Batesville and the chairman of the AICU executive committee. Horne will replace Rex Nelson, who has served as the AICU president since January 2011. 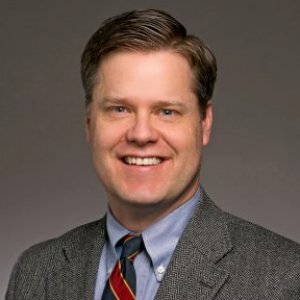 Nelson recently was named to the new position of director of corporate communications for Simmons First National Corp. Simmons, which is based at Pine Bluff, is a financial holding company with assets of $7.8 billion and operations in Arkansas, Kansas, Missouri and Tennessee. Horne is the 15th president in the history of Ouachita, which was founded in 1886. Prior to becoming Ouachita’s president, he was the senior pastor of Immanuel Baptist Church at Little Rock for 16 years. Prior to becoming pastor at Immanuel, Horne served as a pastor in Louisiana, Texas and Oklahoma. He was president of the Arkansas Baptist State Convention from 1995-97. Horne grew up at Camden. He completed his freshman year at Ouachita before finishing his bachelor’s degree at Arkansas College (now Lyon). He later earned a master of divinity degree from Southwestern Baptist Theological Seminary at Fort Worth and a doctor of ministry degree from New Orleans Baptist Theological Seminary. He was a weekly columnist for the Arkansas Democrat-Gazette for 10 years and is the author of three books. Under Horne’s leadership, Ouachita has significantly enhanced and expanded campus facilities. Horne and his wife, Becky, are the parents of four grown children. The Hornes have been married since 1972. AICU represents the state’s 11 accredited private institutions of higher education. It operates from offices in North Little Rock, specializing in governmental affairs and public affairs for private higher education. Members of AICU are Arkansas Baptist College at Little Rock, Central Baptist College at Conway, Crowley’s Ridge College at Paragould, Harding University at Searcy, Hendrix College at Conway, John Brown University at Siloam Springs, Lyon College at Batesville, Ouachita Baptist University at Arkadelphia, Philander Smith College at Little Rock, the University of the Ozarks at Clarksville and Williams Baptist College at Walnut Ridge. What’s now AICU was founded in the spring of 1954. Charter members of what was then known as the Arkansas Foundation of Associated Colleges were Arkansas College (now Lyon College), College of the Ozarks (now a university), Harding College (now a university), Hendrix College, John Brown University, Ouachita Baptist College (now a university) and Southern Baptist College (now Williams Baptist College). During the organization’s more than six decades of existence, more than $20 million has been raised and distributed to member institutions. In the early years, the funds distributed were unrestricted and used for a variety of purposes. Now, all money raised is used for student scholarships. AICU is governed by a board of trustees consisting of the 11 presidents of the member institutions and a group of more than 20 business and civic leaders from across the state. The organization’s executive director now carries the title of president. Horne will end his tenure as Ouachita’s president and begin his new duties at AICU this summer. Williams Baptist College held a Veteran’s Day luncheon Nov. 11 to honor school employees and students who have served in the United States military. A group gathered in the President’s Dining Hall for a special meal and a time to fellowship. WBC President Dr. Tom Jones, A US Air Force and Army veteran, hosted the event. Other attending veterans included: head baseball coach Frank Lee, who served in the US Air Force, and Williams Physical Plant employees Brian Meredith, Jeremy Allen and Jim Pritchett, all veterans of the US Army. Williams is a four-year, liberal arts college at Walnut Ridge. 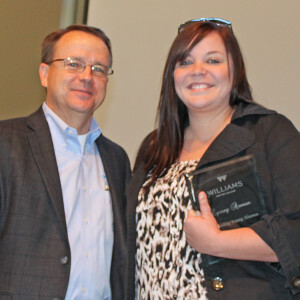 Lynsey (Riley) Auman was named Williams Baptist College’s 2014 Distinguished Young Alumna during Saturday’s Homecoming/Parents Day festivities. Auman, who is a native of Sherwood, Ark., graduated from Williams in 2006. She earned a degree in English education, and now lives in Nashville, where she works for World Relief. The mission of World Relief is to empower the local church to serve the most vulnerable of people. In the United States, the organization largely serves refugees who have had to flee their home countries due to persecution. Auman began her work with World Relief Nashville four years ago, helping secure employment and promote self-sustainability for refugeesliving in the Nashville area. In 2011, she took on the role of Journey Youth Services Program Manager. Journey provides after-school programming, mentorships, and cultural activities for refugee youth as they adjust to life in America and teenage life in general. She is married to Joshua Auman and is the daughter of Lynn and Cheryl Riley. Recent John Brown University alumnus Marcel Guadrón received the Grand Prize for Short Film for his film, “Undercover,” at the South Central Broadcasting Society’s regional conference. Developed as Guadrón’s senior cinema project at JBU, the 17-minute film is about an inexperienced secret agent who seizes the opportunity to prove herself by going undercover to stop an attack on an ambassador’s son. “Undercover” was also chosen as an official selection of the Little Rock Film Festival held in May. “Marcel’s pursuit of knowledge and skill in the field of Digital Cinema is only trumped by the energy expended in his outflow of work—an ethic that was demonstrated in and out of class. This award is recognition of his good work and validation of what we are trying to do here at JBU,” said Steve Snediker, assistant professor of visual art and digital cinema.